Styled with lance cardigan and errol pant . 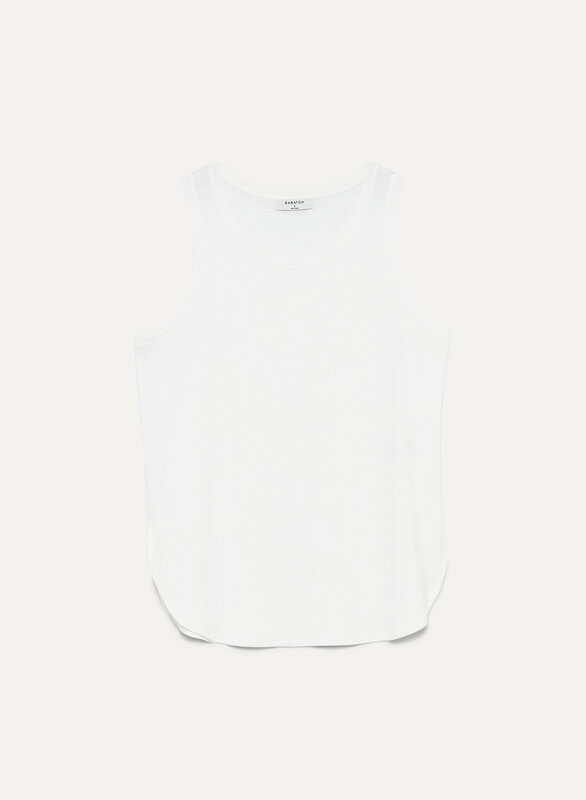 This sleeveless version of the Norris T-Shirt — a Babaton favourite — is cut from a stretch fabric chosen for its beautiful drape. 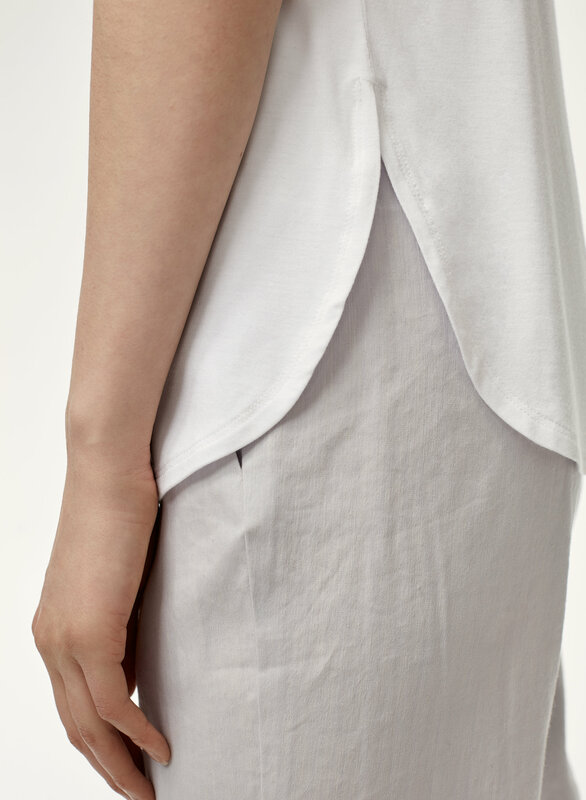 That, along with the contoured hem creates a soft, sculpted shape.